Why leave the comfort and picturesque views of your mountainside room? Enjoy ackee & saltfish, Jamaica’s National Dish, and Blue Mountain coffee on your veranda while enjoying the comfort of our plush terry bathrobes. 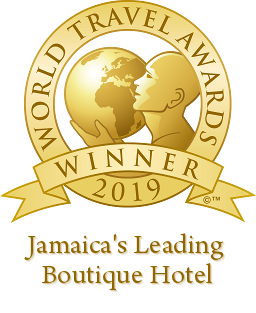 Strawberry Hill is pleased to offer in-room dining featuring an extensive selection of authentic Jamaican dishes, fresh squeezed juices and delicious cocktails. Our hotel’s culinary team has thoughtfully crafted a delightful room service menu, available from 8 a.m. to 9 p.m.